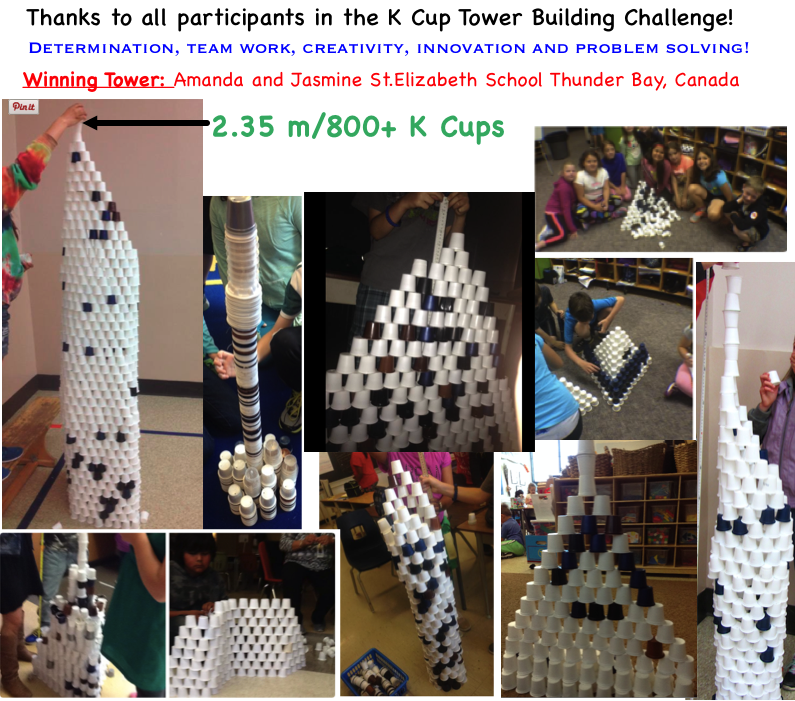 Join classes/businesses/organizations/families from around the world for the global K Cup tower building challenge! **Also check out our KCups4Classrooms page for a multitude of ideas for repurposing KCups for classroom use! K Cups must be empty and have all contents removed. Tower must be free standing. No limit to the number of K Cups used. Tallest tower wins. Picture of tower with measurement of height showing on photo must be tweeted to #KCups4Classrooms or emailed to @pcameron@tbcdsb.on.ca by no later than 11:59 pm EST on Thursday June 30, 2016. 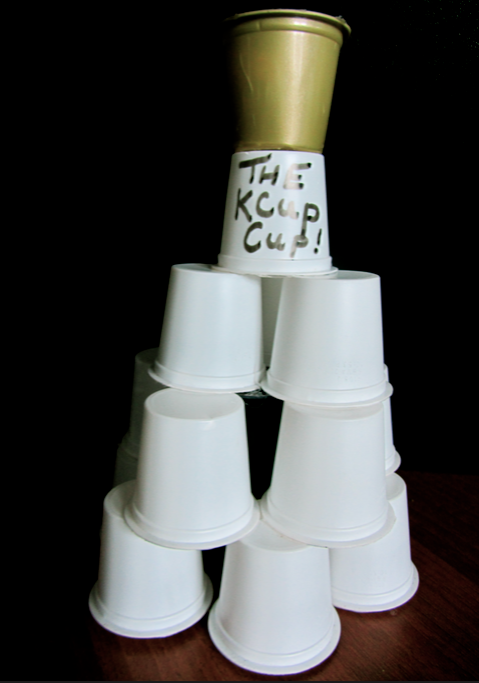 ***Winning team will have their name(s) inscribed on the K Cup Cup and receive a “Golden K Cup” for display. TIP: As your team’s tower begins to get taller and more unstable, take photos with measurements in the event that it breaks before full completion. The highest standing tower will be declared the winner!